The Producer Responsibility Scheme on Waste Electrical and Electronic Equipment (WPRS), covering air-conditioners, refrigerators, washing machines, televisions, computers, printers, scanners and monitors (collectively referred to as regulated electrical equipment, or REE), will come into effect on August 1 (next Wednesday) this year. 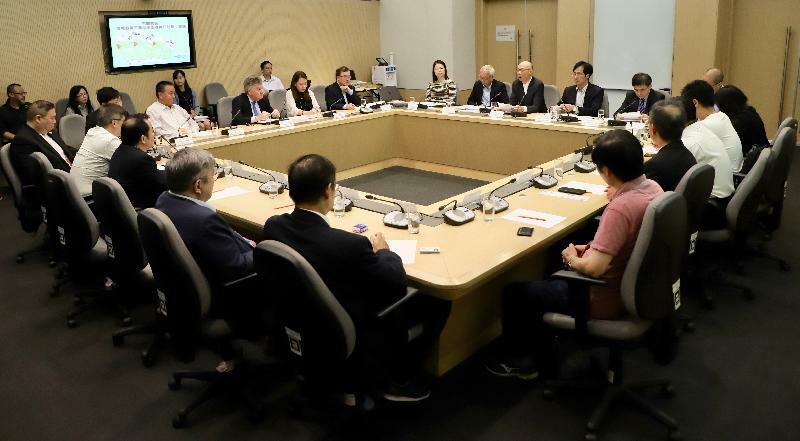 The Secretary for the Environment, Mr Wong Kam-sing, today (July 27) met with representatives of relevant trade associations to review the preparation work by the trade, the Environmental Protection Department (EPD) and the operator of WEEE‧PARK for the implementation of the WPRS. Mr Wong said, "To prepare for the implementation of the WPRS, the EPD has been maintaining close collaboration with the trade over the past few years and has its support. The Scheme will facilitate the collection of waste electrical and electronic equipment generated locally for proper recycling and turning the items into resources." Starting August 1 this year, sellers are required to arrange free statutory removal service for customers when they purchase a new item of REE. Sellers are also required to provide a receipt containing the prescribed wording on the recycling levies, and a recycling label. Mr Wong reminded members of the public that they can request the seller to arrange the delivery of a new item and the removal of an item of waste equipment to be done on the same day without additional charge. In addition to viewing Announcements in the Public Interest on television and posters, members of the public can also visit the thematic website weee.gov.hk to obtain more details about the WPRS. If members of the public have any questions on the implementation arrangement of the WPRS when they purchase a new item of REE, they can contact the relevant seller or call the EPD hotline 2310 0223 for enquiries. A set of frequently asked questions and answers has been set out in the Annex. Regarding the implementation arrangements of the WPRS, Mr Wong said, "During the early stage of implementation, it may take time for members of the public and the trade to get accustomed to the new arrangements and operational flow. 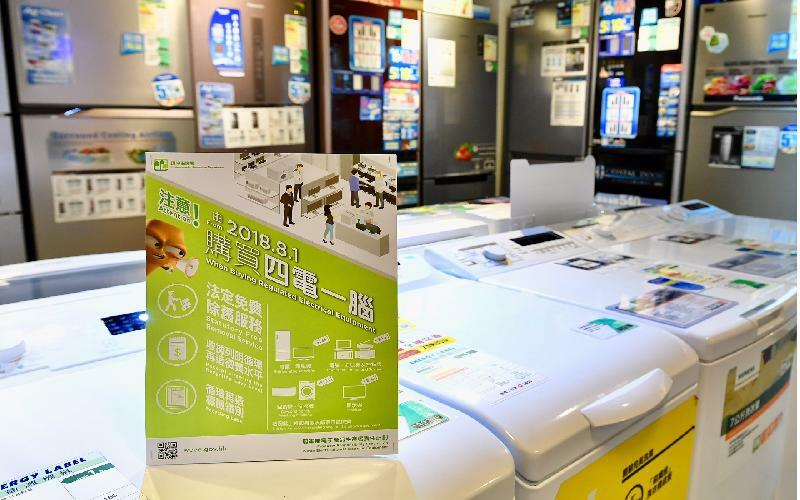 To facilitate the smooth implementation of the scheme, the EPD has asked the operator of WEEE‧PARK to gear up for the possible substantial increase in demand for collection services during the initial period. The operator has collaborated with its logistics partners to arrange additional vehicles and manpower to strive to meet the service demands and its performance pledge to deliver the removal service from the fourth working day at the earliest after receiving a service request. We will closely monitor its operation and maintain close liaison with relevant trade organisations." He added, "At today's meeting, the trade representatives expressed their support for the scheme. We also agreed to maintain close communication to review the implementation of the WPRS at a suitable juncture." In the past few months, the EPD conducted 17 briefings for members of the trade, shop visits, and about 20 one-stop-application sessions to facilitate the submission of registration and endorsement applications by the trade. As at July 26 this year, the EPD had received 2 085 applications for endorsement of removal service plans by REE sellers, of which 1 383 had been approved. At the same time, 182 applications had been received for registration as suppliers, of which 149 had been approved. Most of the outstanding applications were received in the past week and the department will process these applications as soon as possible. Sellers and suppliers who have yet to submit applications should take immediate action to file applications. In addition, in order to enable retailers to better understand the legal requirements, the EPD has sent staff to visit shops selling REE in various districts over the past few months to remind their responsible persons and front-line staff to observe the new legislation. When the legislation comes into force, the EPD will conduct investigations through multiple channels and take enforcement actions against shops which are suspected of breaching the law. Under the Promotion of Recycling and Proper Disposal (Electrical Equipment and Electronic Equipment) Ordinance, starting August 1 this year, a seller of REE must have a removal service plan (RSP) endorsed by the EPD for selling REE, and must notify consumers in writing of the arrangements of the statutory removal service and the relevant terms of service before entering into a sales contract. A seller should ensure the relevant arrangements have been clearly explained to the customer during the sales process, so that the consumer can make a choice according to his or her own needs. A seller who does not arrange free removal service according to the endorsed RSP commits an offence and is liable to a maximum fine of $100,000 on the first conviction, while a seller who has not notified the consumer according to the legislation is liable to a maximum fine of $5,000 on the first conviction. REE sellers must also provide consumers with the corresponding recycling label alongside the sold REE and a receipt showing the prescribed wording on the recycling levies for identifying the REE distributed under the WPRS. In addition, starting August 1 this year, a supplier of REE must register with the EPD before distributing REE. Offenders are liable to a maximum fine of $100,000 on conviction.